Nocatee Announces New Resident Forum! Nocatee residents that enjoy sharing information with fellow community members and being the first to learn development updates are excited for the launch of the NEW Resident Forum! 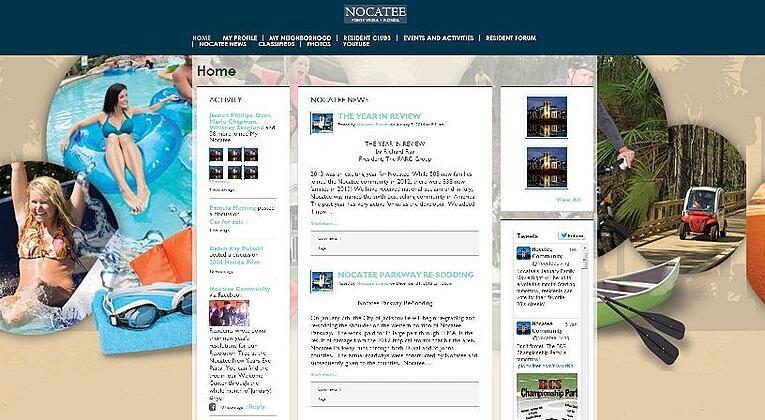 This “My Nocatee Forum” (unveiled to residents on Friday) is the newest way for Nocatee families to keep updated and be involved with fellow community members online. Designed exclusively for residents, members can log-in to discuss community-related issues, learn more about other Nocatee neighborhoods, exchange smaller neighborhood event/party ideas, local referrals and other helpful information. This site will also be home to a “Classified” section that will allow residents to list/sell un-needed household items before listing on larger, more impersonal online listing sites. In addition to this “My Nocatee Forum,” the free Nocatee Mobile App (available for everyone to download from Apple’s App Store and Google Play) was recently unveiled. Along with cool features like the “Nocatee Fun Cam” and an interactive map, residents can also opt in to receive Nocatee Event and Activities reminders on smart phone devices!